At least 10 cars caught fire on a single Baltimore street early Friday morning. The fires took place in the Mount Vernon neighborhood of the city at about 3 a.m. local time. 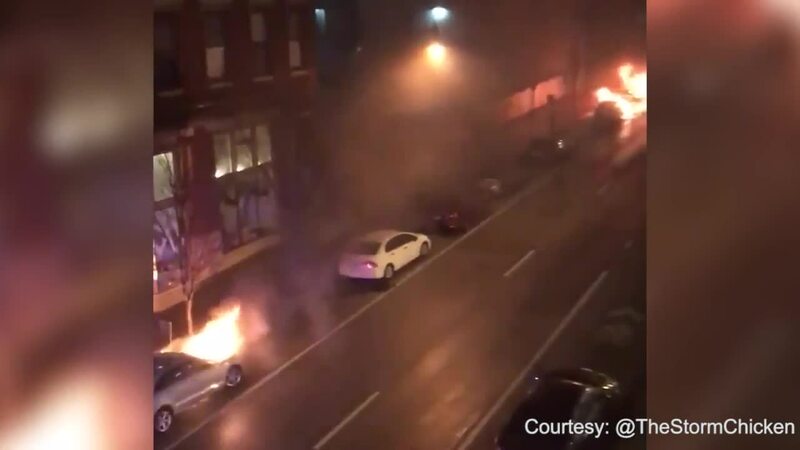 According to Scripps station WMAR in Baltimore, the gas caps from a number of cars were deliberately removed in order to set the vehicles ablaze. Video taken from the scene and shared on social media shows some of the burning vehicles exploding. Police are currently searching for suspects and motive in the case.